I thank myself for signing up...Thanks/Gracias/Tack/Merci/Obrigado/Grazie! Signed and noted, thank you Massimiliano. allready signed & ty M.
Noted and will be switiching off. I'm up for it, every year. Noted and signed, thanks Massimiliano. Noted and signed. Have been doing this for some time. Reminding friends and family as well is good. Already done but THANKS for the reminder! Your message calling for stronger climate action is now with key politicians. we have been observing earth hour since inception... thank you for continuing to inspire others to do the same. Hi there, other than Earth hour, I’d also like to recommend Project Drawback, either the Ted talk, the website or the book if you want to support the environment. It’s a 100 numbered list made by climate change experts made in order on how much the solutions can reverse global warming. 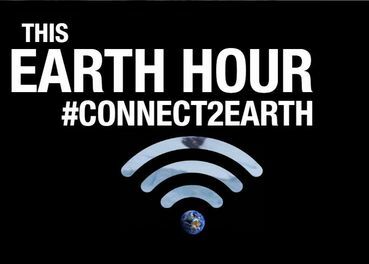 Thank you for your time, and hope Earth hour can teach us more about the Earth than just an hour. Noted and already signed! Grazie Massi! Oh great, I thought it was in April.